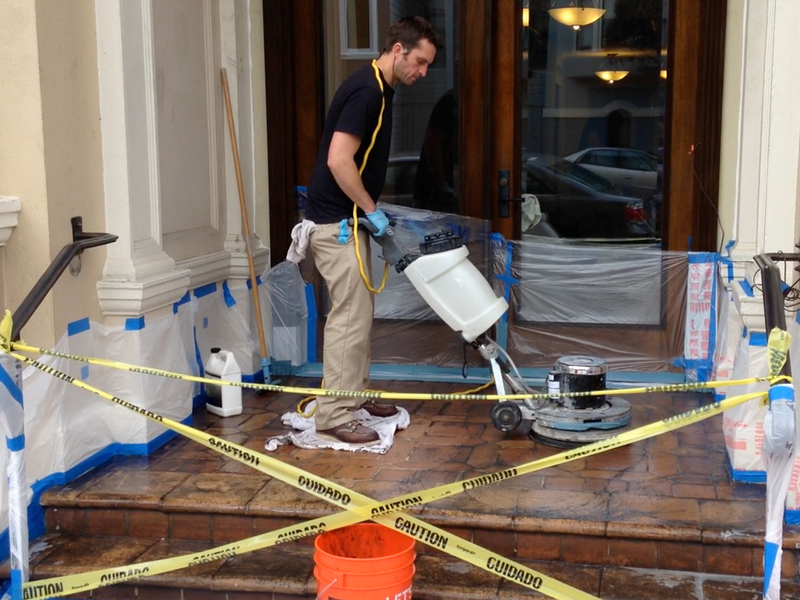 Stone Improvement uses a low VOC natural stone floor stripper. After the area is prepped we lay down the stripper and go over the areas with our floor machine equipped with heavy duty stripper pads. This is a wet process so it does not create any dust. 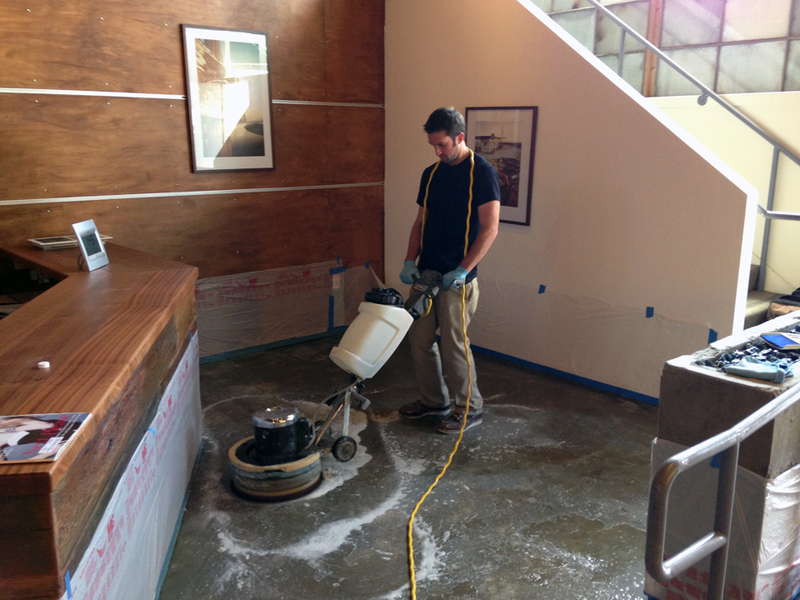 After multiple passes with the floor machine we go over the areas with our hard surface extractor. 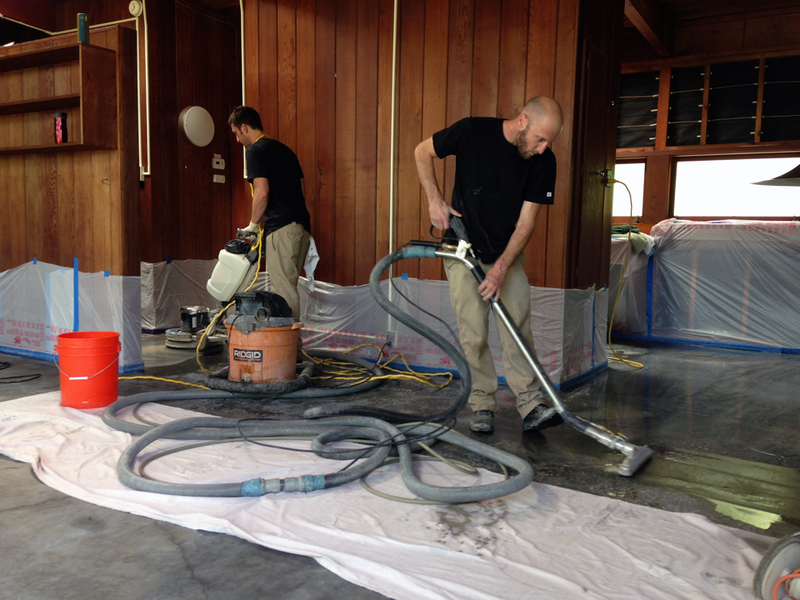 The extractor removes any left over contaminants and stripper residue. For heavy duty sealant removal such as an epoxy, we lay down a soy based stripping gel to dissolve and soften the epoxy. The gel takes 24 hours to break down the epoxy coating. We then shop vac up the gel, go over the area with our floor machine, and rinse the area with our hard surface extractor. This removes any contaminants and stripper residue that might be left over. After the stripping we break down our equipment and let the areas completely dry before sealing.